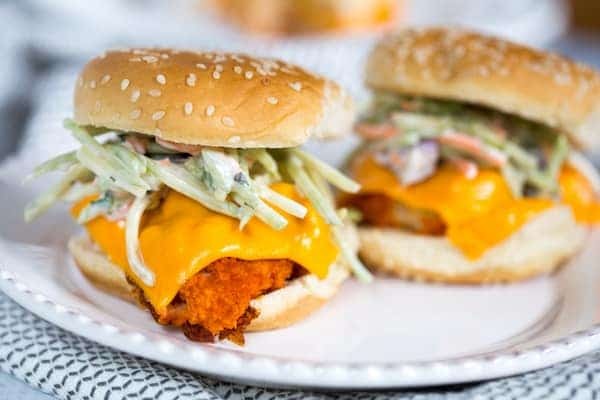 Buffalo Cauliflower Sliders are spicy and delicious game day food! Made with GO VEGGIE Cheddar Slices, they can be made vegan and lactose-free! Yesterday was, along with my mom’s birthday (happy birthday mom!!! ), one month until our due date for baby #2. Which means that today means there’s LESS THAN ONE MOTH until we have a second baby boy! Or, hopefully we do. Who knows how long he’ll stay cozied up in my belly. While I’m sure I’ll get more antsy and anxious to meet him as our due date approaches, I have to say I’m trying to really savor these last few weeks as a family of three. And I know I’ve said it all summer, but I’ve really been trying to soak up the one on one time with Lars. I’ve heard that no matter how hard it seems having one kid, it’s exponentially harder having two. I guess we’ll see how true that is, but I’m guessing it will be pretty accurate since Lars is pretty dang easy right now. Aside from his toddler meltdowns, we are in a good routine that we are all used to. I’m not sure what is going to happen when we throw a newborn into the mix! Along with relishing the last month of pregnancy, I’ve also been trying to get prepared for life with another baby. A.k.a. nesting. A couple of weeks ago my sister-in-law and I made THIRTEEN freezer meals which only require us to dump them in the slow cooker and let them cook all day, which feels like total winning to me. I am also organizing my kitchen a little better and trying to get rid of a bunch of stuff I never use. Clutter is my enemy. 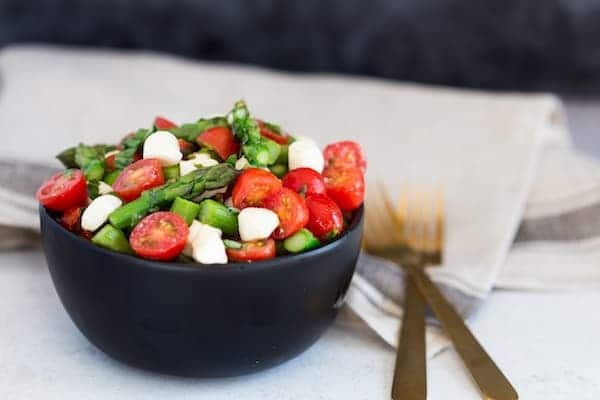 Lastly, I’ve been making some recipes that require a little bit more hands on, as I know I won’t be able to enjoy that time in the kitchen as much once the baby comes. These sliders aren’t difficult to make, by any means, but they are a little putsy. Watch the video below to see how I made them! That said, they are completely, 100% worth the extra effort! Bonus: they can be made vegan and lactose-free if you want, by using vegan ranch dressing and GO VEGGIE Cheddar Slices which come in Vegan or Lactose-Free versions! 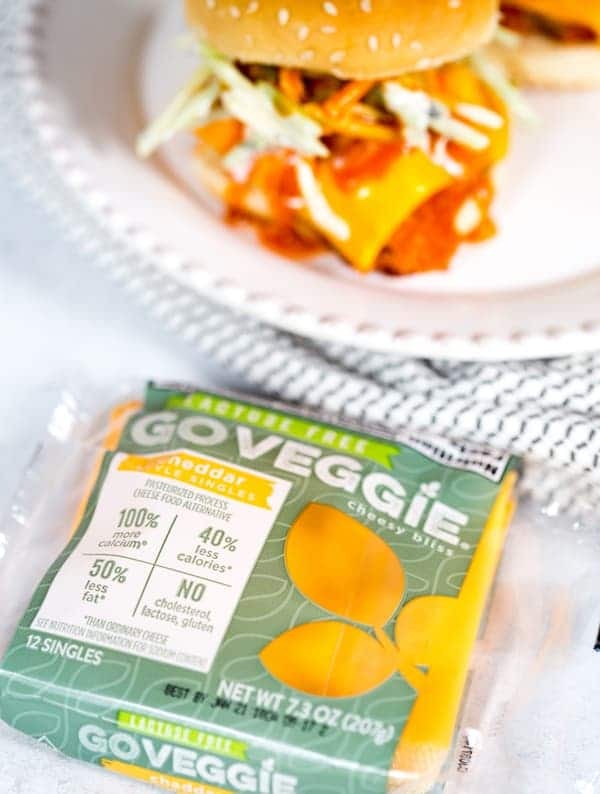 Using the GO VEGGIE slices, you’ll save yourself calories, cholesterol, and saturated fat, which basically means you can go ahead and have an extra one! These Buffalo Cauliflower Sliders really did blow away both Marc and I’s expectations. They were delicious for dinner and would also be great game day food! Click here or the image below to pin this Buffalo Cauliflower Sliders recipe for later! Cut cauliflower vertically into slices. Cut the core out of the middle pieces and cut any pieces that have remained large into slider-sized pieces. 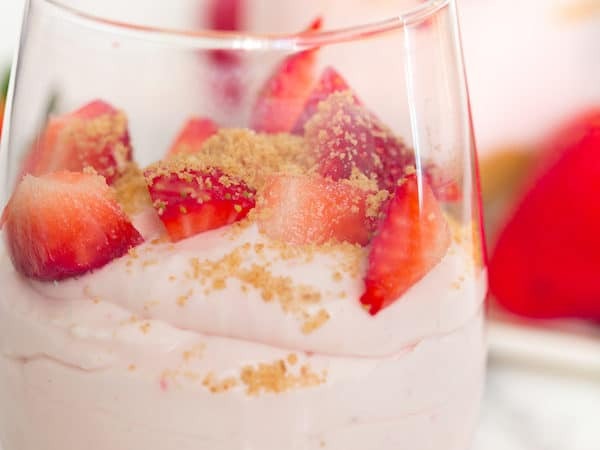 In a shallow bowl, combine flour, almond milk, garlic powder, and salt, and whisk to combine. In another shallow bowl, add panko breadcrumbs. Dip each cauliflower piece into milk/flour mixture and then into breadcrumbs. Remove from oven and brush with buffalo sauce on each side. On a separate baking sheet, place bottom of slider buns. Top slider bun bottoms with cauliflower. You can load them up as much as you want. You'll probably have some leftover cauliflower but that's okay - they are delicious on their own, too! 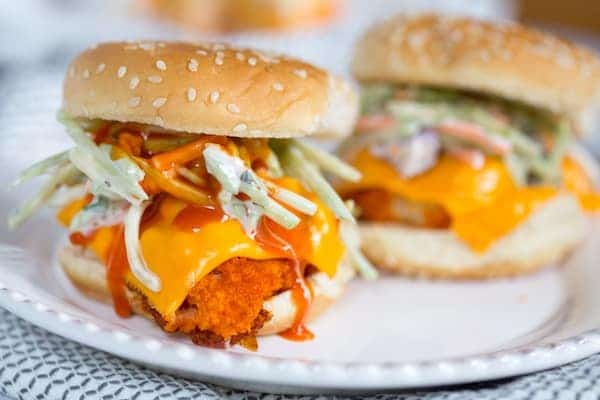 Top each slider with one GO VEGGIE Cheddar Slice. Bake in oven until cheese is melted, about 3-5 minutes. Meanwhile, make broccoli slaw by combining slaw mix and ranch in a medium bowl. 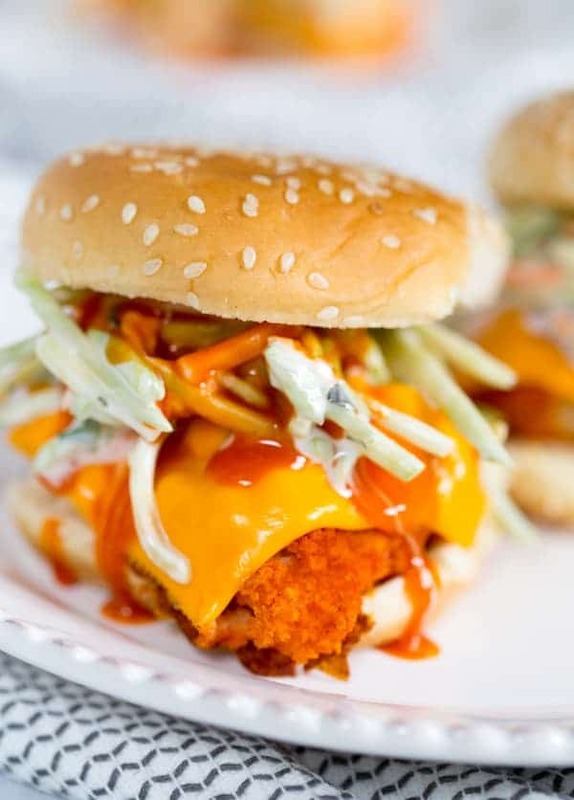 Top each slider with broccoli slaw, additional Buffalo wing sauce, and bun top.